Design Depot is a family owned and operated business. Thanks to years of experience with residential and commercial applications, Design Depot offers top quality service for your home design project. With state of the art equipment, top designers, and dedicated employees, we continuously train and stay up to date with all latest innovative technology. We deliver the most value in the industry by offering honest advice coupled with excellent technical, business, and design support. Our goal is to become your preferred choice in making your home, a dream home. Our pledge is to stand out from our competitors with knowledge, pricing, quality and specifications. We currently are the provider of a wide variety of products and services to many respected names in residential and commercial construction. These include Builders, General Contractors, Architects, Engineering firms, and Homeowners who have hired us and stay loyal because we have earned their trust and confidence in our level of service. Each of Cesar’s modern kitchen designs are conceptualized through a collaboration between the Italian architect Gian Vittorio Plazzogna and Cesar’s talented in-house design, research, and engineering teams. The design process starts when together, Mr. Plazzogna and Cesar’s research and development engineers identify the market requirements, technological advances in functionality, and current aesthetic trends that will be embraced in a new model. Inspired by those conclusions, Mr. Plazzogna and his team then create sketches and later renderings of the new model. Cesar’s technical engineers use these renderings to perfect the industrial production process of the new model, and finally, Cesar’s design team makes final decisions on finishing options and exterior aesthetics. 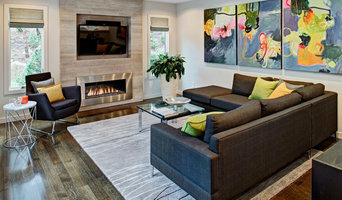 Marianne Stern Interiors is an interior designing service located in northern NJ. Our goal is to provide clients with sophisticated and elegant results. Marianne believes that every home should reflect the personality of its owner or owners and takes the time to truly listen to what you want to do. From this, her design philosophy, Elegant Designs for Living, was born. Whether you want to transform a single room or your entire house – Marianne can design spectacular living spaces that you will love to call home! No project is too small to provide an uplifting change to an environment. What does a Ft Lee kitchen designer or bathroom designer do? A kitchen and bath design professional in Ft Lee, NJ knows to take all of these crucial points into consideration and can help plan the layout, materials and overall look and feel of either of these rooms in your home. Kitchen designers, as well as bathroom designers, are constantly staying on top of trends in the ever-changing industry. The designer also knows the best layout for your room, and can configure the layout for optimal functionality and utilization of the space. In the kitchen the refrigerator, stove and sink should be laid out in relation to one another, and it should be seamless and easy to move from one to the other. A Ft Lee kitchen and bath designer will know how to work with a contractor and architect to plan the flow of the room to work best for your needs. Here are some related professionals and vendors to complement the work of kitchen & bath designers: Kitchen & Bath Fixtures, Appliances, Tile, Stone & Countertops, Cabinets & Cabinetry, Woodworkers & Carpenters. 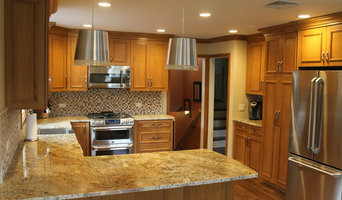 Before you talk to bath and kitchen designers in Ft Lee, NJ, consider how you will use the room. For your bathroom, is it necessary to have a bathtub for bathing kids or pets, or would a shower suffice? Perhaps all you need is a half bath for downstairs or a smaller guest bath for occasional use. Similarly, for kitchen renovations consider your cooking habits. Do you eat out every night but need a space to entertain in? If so, a smaller kitchen might be fine for you, with a space devoted to wine storage or a bar, whereas others might prefer a bigger stove or extra cabinets. When interviewing Ft Lee kitchen and bath designers, make sure to share these habits so they can best fit the room to suit your needs. 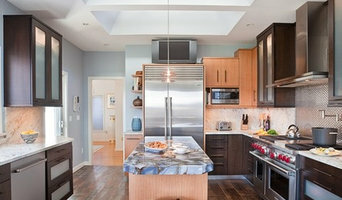 Find a Ft Lee kitchen designer or bathroom designer on Houzz. 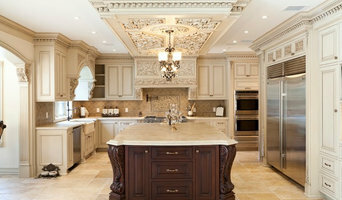 Narrow your search in the Professionals section of the website to Ft Lee, NJ kitchen and bath designers. You can also look through photos in Ft Lee, NJ to find a kitchen or bathroom you like, then contact the professional who designed it.